From one-sixth to one-half of the 21st-century reduction in flow can be attributed to the higher temperatures since 2000, report Udall and Overpeck. 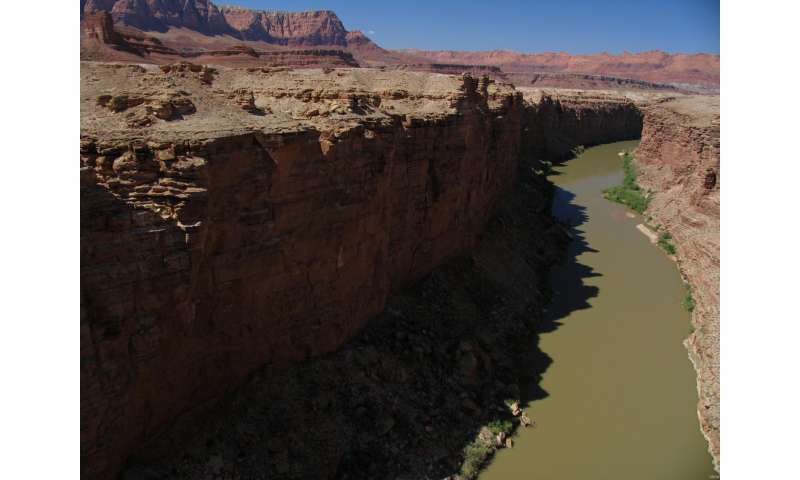 Their analysis shows as temperature continues to increase with climate change, Colorado River flows will continue to decline. 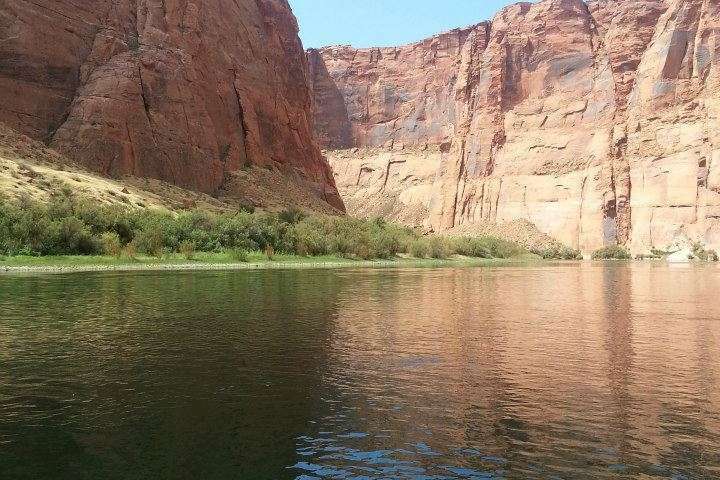 Udall, a senior water and climate scientist/scholar at CSU's Colorado Water Institute, said, "The future of Colorado River is far less rosy than other recent assessments have portrayed. A clear message to water managers is that they need to plan for significantly lower river flows." The Colorado River Basin has been in a drought since 2000. Previous research has shown the region's risk of a megadrought—one lasting more than 20 years—rises as temperatures increase. Overpeck said, "We're the first to make the case that warming alone could cause Colorado River flow declines of 30 percent by midcentury and over 50 percent by the end of the century if greenhouse gas emissions continue unabated." The paper by Udall and Overpeck, "The 21st Century Colorado River Hot Drought and Implications for the Future," went online Feb. 17 in the American Geophysical Union journal Water Resources Research. The Colorado Water Institute, National Science Foundation, the National Oceanic and Atmospheric Administration and the U.S. Geological Survey funded the research. Udall and Overpeck began by looking at the drought years of 2000-2014. About 85 percent of the river's flow originates as precipitation in the Upper Basin—the part of the river that drains portions of Wyoming, Utah, Colorado and New Mexico. The team found during 2000-2014, temperatures in the river's Upper Basin were 1.6 degrees F (0.9 C) higher than the average for the previous 105 years. Udall said, "A megadrought in this century will throw all our operating rules out the window." Overpeck said, "Even if the precipitation does increase, our work indicates that there are likely to be drought periods as long as several decades when precipitation will still fall below normal." Udall said, "I was surprised at the extent to which the uncertain precipitation aspects of the current projections hid the temperature-induced flow declines." "Current planning understates the challenge that climate change poses to the water supplies in the American Southwest," Udall said. "My goal is to help water managers incorporate this information into their long-term planning efforts." California was in a permanent drought, or so we were told. Until it wasn't. Once again, the predictions are based on models which even the authors admit isn't really accurate in predicting precipitation. No, worry - throw a sensational headline onto it and share the panic with the world.